Search engine marketing, or SEM, companies help you generate business on the internet by getting your website a higher ranking on search engines such as Google, Bing, or Yahoo. While a good one can improve your rankings, if you hire the wrong one you could get penalized by Google so that you never show up in searches. More importantly, if you are not careful, there may be ethical considerations. Lawyer websites are subject to advertising rules. However, the average SEM company is not run by a lawyer. This can create a number of problems because the person leading your online marketing activity might not know the advertising rules you are subject to. Rule 7.02 of the Texas Disciplinary Rules of Professional Conduct contains a list of prohibited forms of advertising that have been deemed misleading. Anyone who hires a marketing firm of any kind to act for them should ensure it complies with this rule in all online profiles, directories, and webpages. Search engine optimization, or SEO, is the marketing field that focuses on making your website appear higher in the ranks when someone runs a search on Google or another search engine. It involves writing quality material on the specific subject you seek to rank well for both on your website (on-site SEO) and on other websites such as trade publications (off-site SEO). It includes acquiring citations and links back to your site from those relevant to your field, expertise, location, or practice and obtaining positive reviews from colleagues and clients. Gaining industry awards and recognitions for your work also helps in this process. The point of the ranking system used by Google and other search engines is to provide the most relevant information to the consumer when he or she runs a search. Black hat SEO is when people attempt to game the search engine to gain higher rankings quickly. In the past, businesses seeking to rank higher would create text links that linked specific works to their website from other directories. These directories, whose sole goal was to charge a fee to give a link, popped up in troves across the internet. Lawyers could link the words “car accident lawyer” in one and “personal injury lawyer” in another to help themselves rank better when someone searches for those terms. Google has penalized this practice with a big ranking drop and de-indexed many of these directories. However, if you are not careful, some companies still operate this way to generate short-term results (and get your money) before Google catches them and penalizes your website. Once you incur a ranking penalty, it can take months and sometimes years of removing links and disavowing bad ones to get your website’s credibility back. 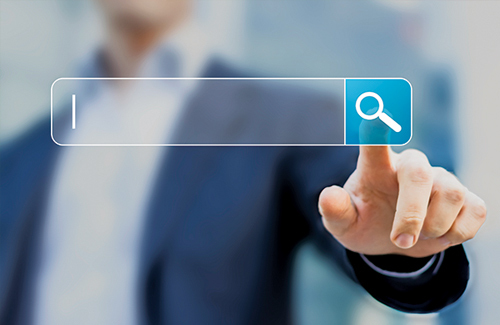 In 2016, the Professional Ethics Committee for the State Bar of Texas addressed the practice of keyword advertising offered by search engine companies. Specifically, Opinion 661 found that simply using the name of a competing lawyer or law firm as a keyword does not necessarily violate the Texas Disciplinary Rules of Professional Conduct. However, lawyers would be well advised to familiarize themselves with Opinion 661 and its ramifications before embarking upon an advertising campaign using search engine optimization. Good directories exist that are relevant to your field or location. The legitimate ones will generally allow you to place your company name, address, and phone number along with a link to your website and sometimes a description of what your firm does. But pay close attention—the link and description may get you into trouble if you simply allow an SEM company to create these unmonitored. Case referral websites may be independent or operated as a required or optional part of an online directory. A pure case referral website, however, differs from an online directory in that it promises to refer cases directly to the lawyer for a fee. They often call themselves pay-per-lead services and some even take and screen calls before sending them to you. These are not treated the same under the Texas Disciplinary Rules of Professional Conduct. Many of these websites may instead comply with the American Bar Association Model Rules of Professional Conduct (that allow paying a pay-per-lead fee to online sites in some circumstances) and will freely tell you this. Rule 7.03(b) of the Texas Disciplinary Rules of Professional Conduct allows for reasonable advertising fees. The Professional Ethics Committee’s Opinion 573 distinguishes between a permissible online directory service and an impermissible lawyer referral service. (Compare and contrast to Opinion 561.) It states that to be a permissible service, the online referral service must select the lawyers by a non-discretionary computerized process (i.e. no pre-screening of cases or recommending a lawyer), the service must make clear lawyers are paying for the service, the fee charged by the service must be reasonable under 7.03(b), the service must place no restrictions that in effect create a referral of a particular type of case to a particular lawyer, the lawyer must only communicate with clients who have requested such communication, and the initial communication must be identified as advertising information and disclose that the communication is being sent after identification of the client through the service based on geographic area and legal practice area, and that the lawyer has paid a fee to participate in the service. It is the advertising lawyer’s duty to check and make sure the online referral service meets the criteria set forth in Opinion 573. PAUL H. CANNON is a shareholder in and online marketing manager for Simmons and Fletcher. He has been practicing personal injury law since 1995 and was certified in personal injury trial law by the Texas Board of Legal Specialization in 2005. For more information, go to simmonsandfletcher.com.